This was my first trip to Puerto Vallarta, and I assumed it was some far-flung beach destination, and I was surprised to find out that it is less than 1,000 miles from Houston. We truly are spoiled here in Houston by having such easy access to places with unsurpassed beauty, and the quick hop down to Puerto Vallarta is certainly worth it. My host for the long weekend was the Velas Resort group, which owns and operated five different resorts across Mexico. I was able to spend four nights in total in Puerto Vallarta and split those nights across two of their three properties in PV. 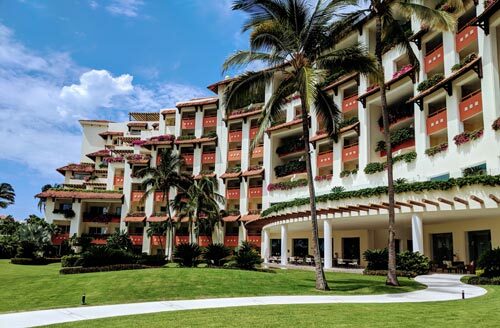 My first stop was their beachside resort, the Grand Velas Riviera Nayarit (grandvelas.com). 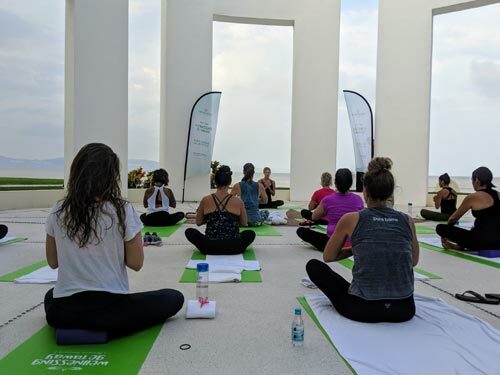 The Grand Velas family of resorts offer many included amenities such as seaside yoga. 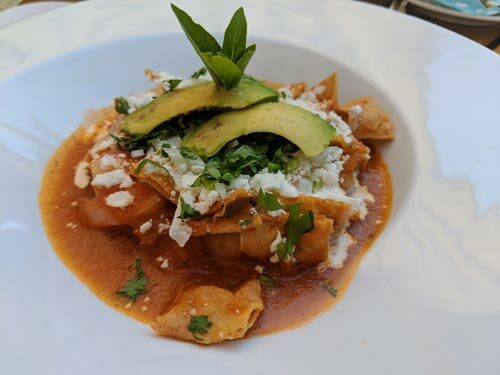 Chilaquiles with shrimp hit the spot for breakfast at Emiliano at Casa Velas. The Riviera Nayarit is the beach area along the northern portion of the greater Puerto Vallarta area. The Grand Velas Riviera Nayarit is just a few miles from the airport, so you are on the beach in no time at all. The resort has the special distinction of being the first luxury all-inclusive ever in Mexico when it opened in November 2002. Arrival is quite the experience. The check-in area is open air with a thatched roof many stories above you in the air and it’s at this time that you get your first glance at the stunning panoramic view of the ocean. Check-in takes place not at a counter, but in your own private couch on a porch overlooking the pool and ocean. Guests are treated to a short neck and shoulder massage while your bags are frisked away to your suite. The resort appears large, but is a really nice size with only 272 suites. It’s large enough that you won’t be bumping into the same people, but it’s still easy to get around to all of the restaurants and amenities. Every room is a suite and all suites have stunning ocean views. I was booked into one of their special Wellness Suites that is 1,750 square feet over two stories and includes a private Jacuzzi on your own terrace. Even the standard suites feature 1,000 square feet of living space. The Wellness Suites are also equipped with a recumbent exercise bicycle, aromatherapy kit, and healthier drinks and snacks. I was assured that all of the regular mini bar items were available upon request (without any judgment). When you book a Wellness Suite, each guest is entitled to one 50-minute massage per stay and you can even book a consultation with one of the resort chefs to custom design a menu for your stay. 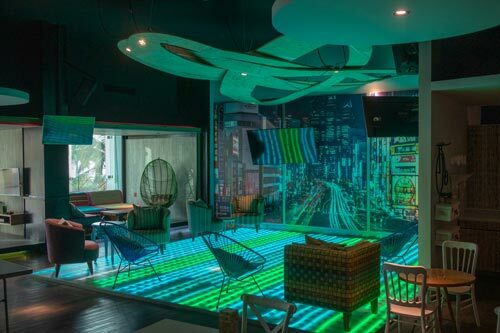 The Teen’s Room offers a full light-up disco dance floor. The Azul restaurant offers ocean-side dining from its luxurious buffet and made-to-order menu items. Speaking of dining, the resort does have a rather extensive room service menu that is available 24/7 and there are many choices for dining in a more formal fashion. The main restaurant is named Azul and offers both a menu and an extensive buffet. It features panoramic views of the ocean and surrounding mountains and is open from 7 a.m.-11 p.m. The menu is extremely varied and includes Mexican, Italian, sushi and many other items. I went to Azul almost immediately after I arrived in the middle of the afternoon during a slow day in the off-peak season at the resort and still found the food to be fresh. I dined later in the trip right after lunch service had started and found it to be even better, so I would recommend the buffet during busy hours and ordering off of the menu during off-peak. Selva del Mar is the pool-side restaurant and provides the normal hamburgers, tacos and appetizers. There is a bar here as well as one in the pool, and they know how to make some great cocktails. Waiter service is provided in the pool area, so you don’t even have to walk over to get another drink. The bars are all stocked with name-brand liquor and beer and included for guests. The drinks weren’t particularly potent, but it’s important to pace yourself when you have nothing but Palomas, Margaritas, and sunshine scheduled for the next five hours. 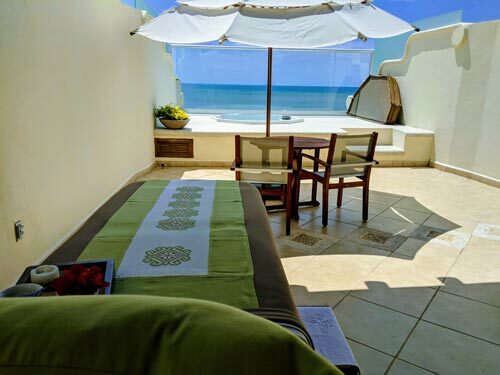 Wellness Suites offer a private balcony with a Jacuzzi top that overlooks the ocean. The weather is beautiful nearly year round at the Grand Velas Riviera Nayarit resort. There are four, dinner-only restaurants on site, and I was somewhat taken aback by how beautiful they were. 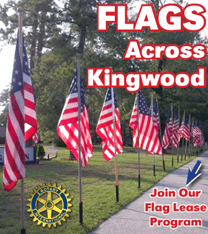 Each of them would fit right in along Westheimer in River Oaks or in the Galleria area. Sen Lin is Asian Fusion (and brand new), Frida is traditional Mexican, Lucca is Italian-Mediterranean, and Piaf is French. I was only able to eat in Frida, but found it quite delicious. This is certainly not Tex-Mex and is more akin to something like one of Hugo Ortega’s restaurants or Cuchara. Seafood, steak and more adorn the menu and they were all wonderful. This is certainly setting a new bar for dining at an all-inclusive resort. The dining was oustanding, but what really set Grand Velas Riviera Nayarit apart was the stellar service and extra resort amenities. The staff were so nice and polite, and on a consistent basis across the entire trip. There were only a handful of journalists and many normal guests staying at the resort, so I don’t think I was given any special white-glove service with them knowing that I was reviewing the hotel. It was a pleasure to interact with all of them. The extra resort amenities are something else though. They have the standard fare like snorkeling gear, kayaks and 24-hour concierge, but they have made an extreme effort to have some really unique features. I was there during a special wellness-themed week, and they had a whole slate of activities such as a tea tasting, medicine reading ceremony, yoga, vegan sushi cooking class, and so many other activities that are all included in the normal nightly rate. For families, they are offering an in-room DIY taco bar that you can then pair with their “Family Night” which provides sparkling wine for adults and mocktails for the kids, a current hit movie to watch, all sorts of snacks, and you can even request matching pajamas and a camping tepee. When booking one of the two-bedroom family suites, they have specialty kid turn-down service with kid-sized bathrobes and slippers. Teens have specialty activities as well, including a staff-led Instagram tour of the resort. A staff member takes a group around the resort to the most Gram-worthy spots so you can post the best pictures on social media. They also offer three, special, teen-focused spa treatments and a new $300,000 Teen’s Club that is borderline unbelievable. Again, panoramic views of the ocean, but a large room with pool, arcade games, private cubicles each with their own video game console, a large light-up disco dance floor, and a staffed non-alcoholic bar with mocktails, snacks and more. Room service is available to be delivered as well, but of course you won’t have to worry about your teen blowing the budget because it’s all included. Kids under thirteen have their own club with tons of guided activities, games and more. For the second half of my trip, I made the 10-minute ride over to Casa Velas (hotelcasavelas.com). Casa Velas is an entirely different vibe being an adults-only resort that is nestled in lush greenery surrounded by their golf course. Casa Velas does maintain a private ocean club with a swimming pool, restaurant and bar and comes with complimentary shuttle service back and forth whenever you need it. The hotel features 80 suites and is a much more intimate affair. 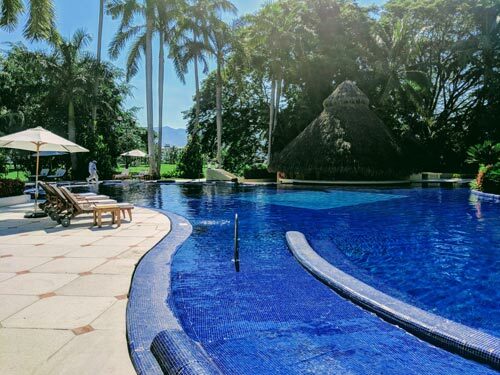 Easily my favorite part of Casa Velas is the stunning pool. It’s surrounded by a lush tropical oasis and staffed with the same genuine and happy-to-please staff like I experienced at the other resort. Again, there is a large in-suite dining menu that is available 24/7 and there is one restaurant on-site, Emiliano. I was again very impressed with the quality of food at the restaurant and available via room service. One of my favorite items was a grilled shrimp burrito. You could tell that high-quality ingredients had just been freshly prepared and delivered expeditiously to my table. The Palomas continued to flow as I entered a deep state of relaxation by the pool in the mild weather. 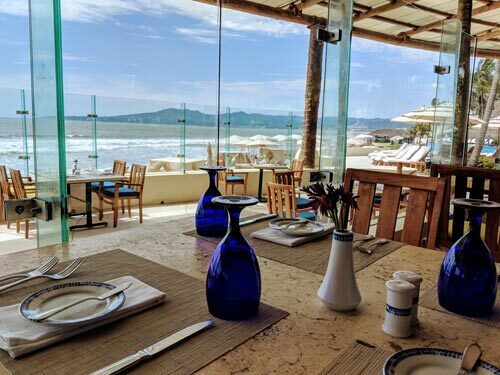 Casa Velas does have some add-on packages that allow you to travel to Grand Velas Riviera Nayarit to dine at the dinner restaurants and spend time at the pool or on the beach there. The pool at Casa Velas is truly an oasis. Casa Velas did have a few unique services included that I had never seen before. One is a designer handbag menu that allows guests to check out handbags from Tory Burch, Michael Kors and more and use them during your stay. While this is quite fun for the ladies, I was more interested in the pillow menu. Seven different pillows are available for your discerning face. They vary mostly in their firmness, but it’s still kind of fun to try them out. If you fall in love with the pillow of your dreams, then the concierge can give you information on pricing. They do host other unique features. We did a local craft beer tasting, and all of the Velas family of resorts had special menu items and cocktails based around it being avocado month. Casa Velas is even closer to the airport, and you can be in the modern terminal in just 10 minutes. Both Southwest and United offer at least one daily non-stop service to Houston. The Velas family of resorts truly opened my eyes to how wonderful an all-inclusive resort could be. They operate resorts near Cancun and Cabo San Lucas, so no matter what your preferential picturesque Mexican beach is, they have an option nearby. I preferred the larger Grand Velas Riviera Nayarit for the foodie-quality restaurants and ocean-front views, but my wife preferred the harmony with nature and deep relaxation of Casa Velas. Both choices offer their own benefits, but both options will certainly offer pampering and relaxation – the crux of any great vacation. I am a long-time Houstonian and am obsessed with cars, soccer, traveling, bourbon and airplanes. 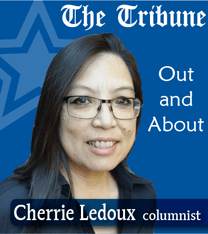 I write a regular car review column for The Tribune and travel articles a few times per year.